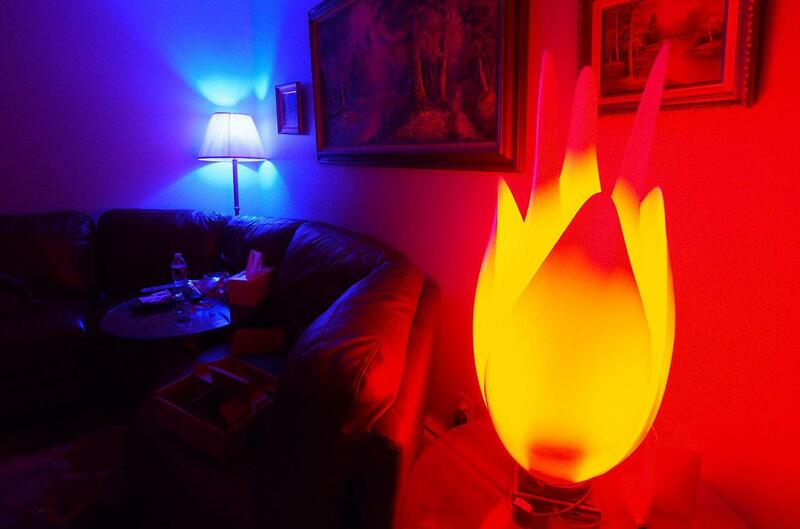 2013 has been a big year for home-automation tech. All the futuristic Jetsons-status gizmos we were dreaming about in 2012 finally came to life this year, so this holiday season we highly recommend you stuff your stockings full of sensors and give the gift of automation. In the list below you’ll find everything from Web-connected kitchen gadgets to robotic servants you control with your smartphone. Programming thermostats is complicated and irritating – but a poorly-programmed thermostat can drive up your heating and cooling bill by 20 percent. 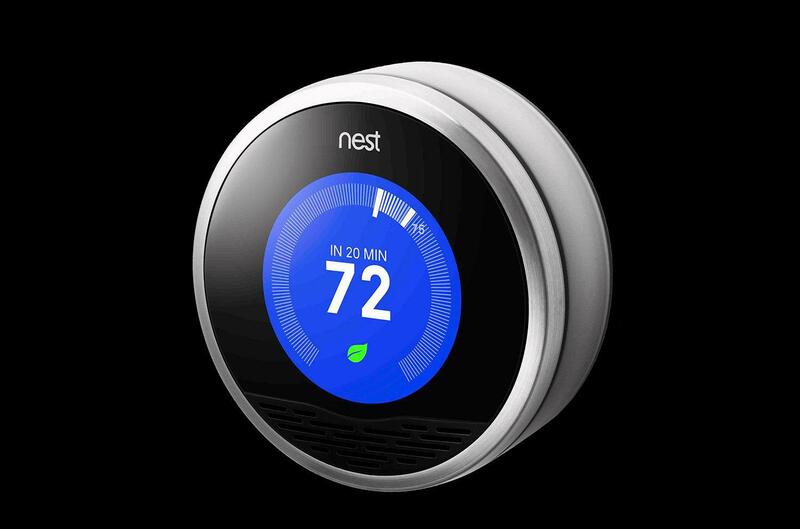 Nest offers a solution to that problem – a smart thermostat that programs itself. Over time the device learns your patterns and preferences, and will only heat or cool your house when you need it to. It interfaces with your smartphone to know when you’re home or away, and also keeps tabs on the weather outside so it can automatically adjust from season to season. Philips’ line of color-changing WiFi connected lightbulbs might be our favorite home tech to come out this year. Not only can you control them from your smartphone, you can also set them to turn on and off on a schedule, use them as an alarm in the morning, or even do more ridiculous stuff like flicker the lights whenever your favorite football team scores a touchdown. Products in the Hue line include the original A19 style bulbs, the new BR30 downlamps, flexible LED light strips, and LivingColors wall accent lights. Looking for a cool gift that won’t break the bank? Belkin’s line of WeMo switches are a relatively inexpensive way to dip your toes in the pool that is home automation. The devices, which range in price from about $50 to $80 bucks, can take practically anything that can be plugged into the wall and connect it to your home Wi-Fi network. 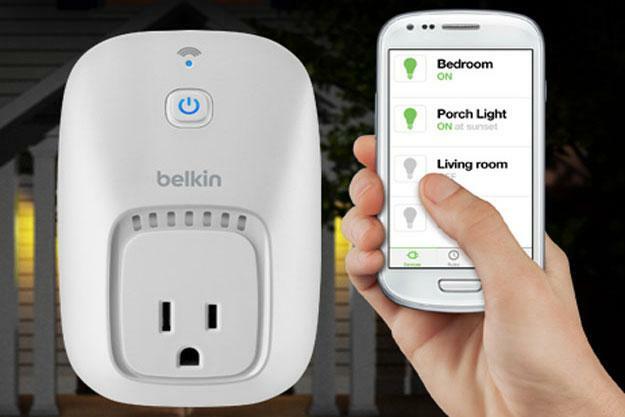 Using Belkin’s proprietary smartphone app, you can then turn things on and off using your smartphone. And with a WeMo motion sensor, or you can set up objects and appliances to turn on whenever you enter a given room. Know somebody who’s constantly losing their keys? Save them from the embarrassment and helplessness of being locked out of the hosue ever again with Kevo. 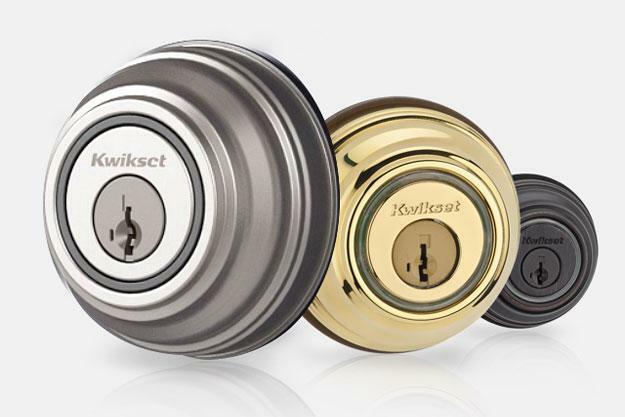 Kevo is Kwikset’s new smart lock – a Web-connected deadbolt that can be locked or unlocked remotely with your smartphone. Once you’ve got it all programmed up, the device will lock the door when you leave, and unlock it when you get close to the door. You don’t even have to whip out your phone and open up an app for it to work – it just senses the presence of your phone and will unlock when you touch it. And of course, if your phone dies before you get home, Kevo still works with a regular old key. If you’ve ever tuned in to an episode of Iron Chef or Chopped, you’re probably well aware that the hardest thing about cooking a meal isn’t the actual cooking part – it’s the timing. It’s tricky, and getting it right takes lots of practice (especially with big, multi-course holiday meals). But with the help of this new smart thermometer from Williams-Sonoma you’ll never need to sweat the clock ever again. 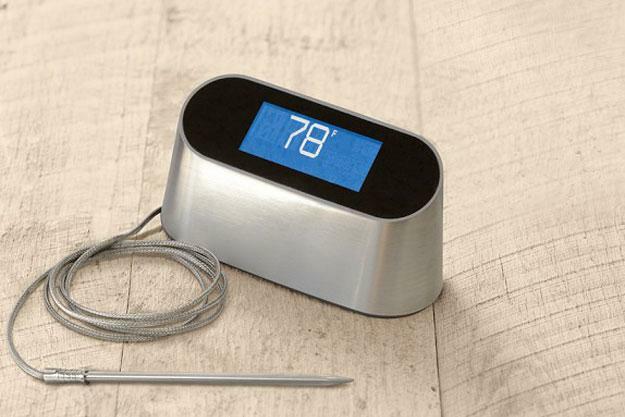 It’s basically a Web-connected leave-in food thermometer that can predict when your meal will be done and send you alerts and reminders when it’s time to start cooking other courses. This way, everything finishes cooking at the same time and none of your dishes get cold. Imagine for a moment that the George Foreman grill was the Bill Gates grill, or some other nerdy celebrity. The Opti-Grill is basically just what you’re imagining. It’s a lean, mean, sensor-studded smart grilling machine. It works a lot like a traditional George Foreman grill, but uses temperature sensors to detect your food’s doneness and adapt the cooking cycle according to thickness and number of parts. 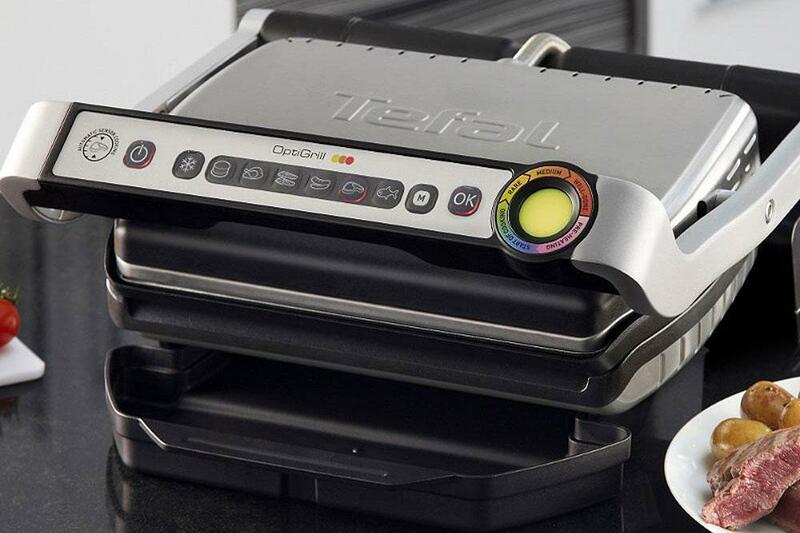 In addition to manual controls, the OptiGrill sports six automatic cooking programs (burger, chicken, bacon, sausage, red meat and fish) and an LED cooking meter that lets you check up on the cooking process without opening the grill. iRobot’s Roomba isn’t the only outfit in the robotic vacuum game, and actually, despite what it’s often recognized as, it’s not really a vacuum at all – it’s just a glorified floor sweeper. 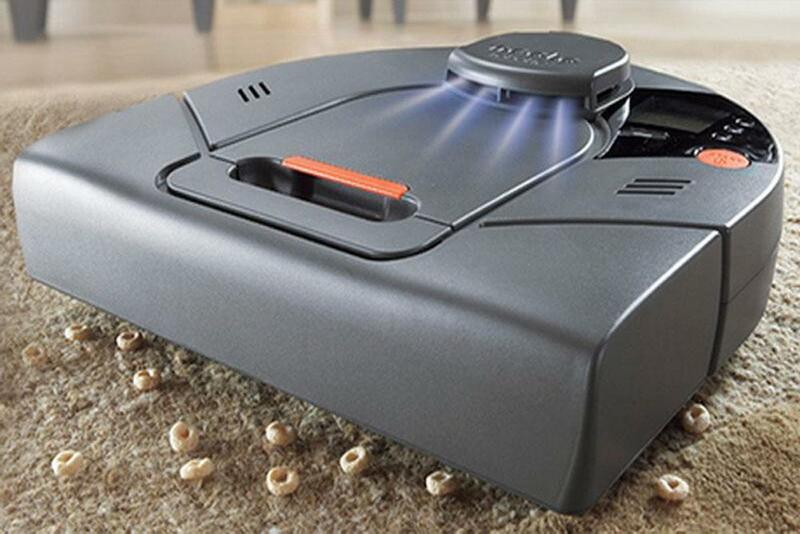 Neato, on the other hand, is an actual robotic vacuum cleaner – and in our experience it’s much more effective than Roomba. Before the robot makes a move, it surveys and maps everything in the room, including furniture, objects, and doorways. Once a room has been mapped, Neato goes to work, cleaning in a pattern of straight, overlapping lines. As it moves, the sensor continues to scan, enabling the bot to avoid unexpected obstacles like pets. 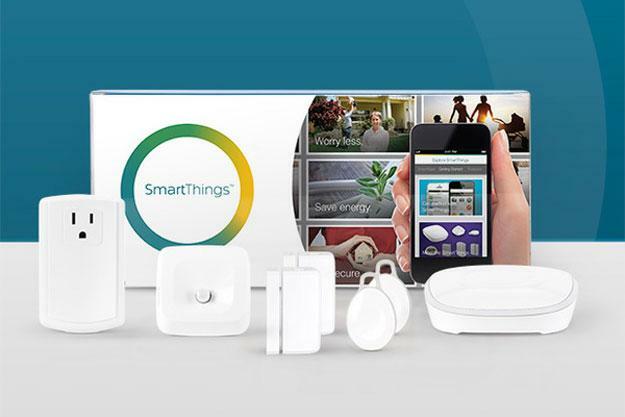 SmartThings automation kits are probably the ultimate geek gift this year. They’re basically just a wide variety of different sensors – including presence sensors, motion detectors, open/closed sensors for doors, light and outlet switches, and temperature sensors – that you can link together creatively to automate your home. Want your lights to turn on automatically when you get home? SmartThings can make it happen. Want to get a text message when you’re not home and somebody opens your liquor cabinet? Totally possible. Have a tech-loving tea-drinker in your life? 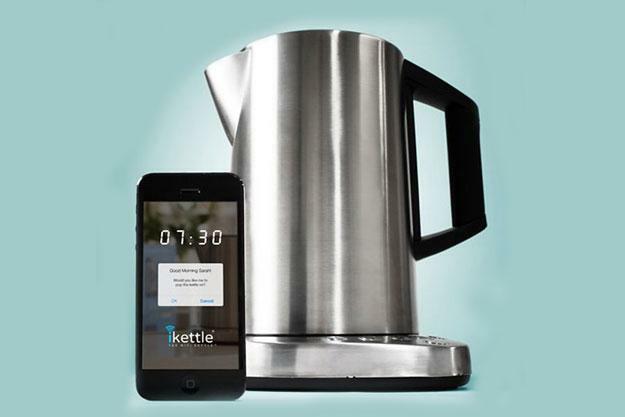 Give the gift of ultimate laziness this year with the iKettle – a Wi-Fi-enabled smartphone-controlled water boiling system. The days of trudging to the kitchen to put a pot on the stove are over. Just fill this badboy up with H20 before you hit the sack, and when you wake up in the morning all you need to start boiling is fire up an app. Unecessary? Probably. Awesome? Absolutely. Check out our full post to learn more. Have that friend, family member, or roommate that loves to sing in the shower, but never seems to remember all the lyrics to the songs, so they just repeat the chorus over and over again? 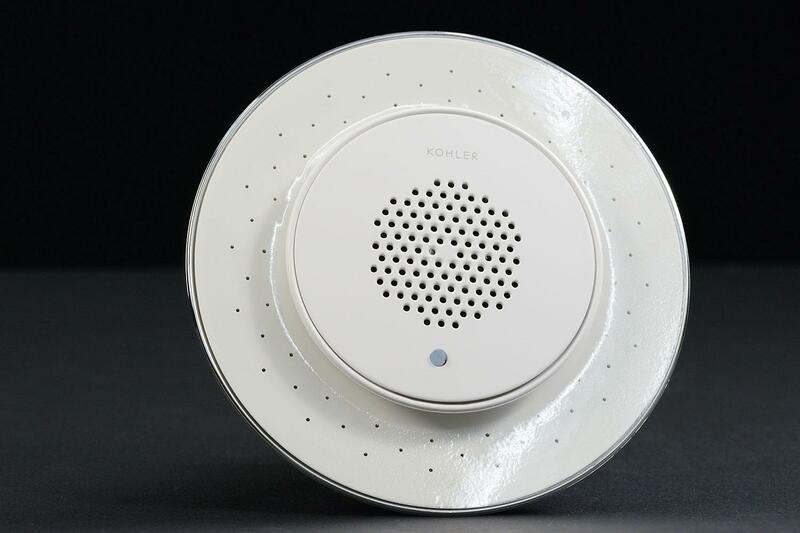 Give them a little help with Moxie – Kohler’s speaker-equipped showerhead. It syncs with your smartphone, tablet, or laptop via Bluetooth to stream whatever you want in the shower – be it Internet radio, news podcasts, or Diana Ross’s Greatest Hits. Head over to our hands-on review for more details.